YOU GET TO DECIDE. 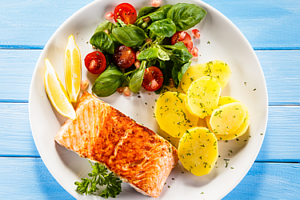 Understanding what a reasonable portion looks like is an important part of mindful eating. So below we will discuss how to make up your mind on how much you’ll eat! What is the difference between portion control and serving size? According to the National Institutes of Health, a portion is the amount of food you choose for a meal or snack. Big or small, it’s what you decide to eat. On the other hand, a serving size is a specific amount of food or drink suggested by the manufacturer. This is the manufacturer’s suggestion of how much of the product is usually consumed, and the basis for the nutritional information you see listed on the packaging. It is important to look at the nutrition label to determine serving size per container. One package will often contain 2 or 3 times the recommended serving size for product. 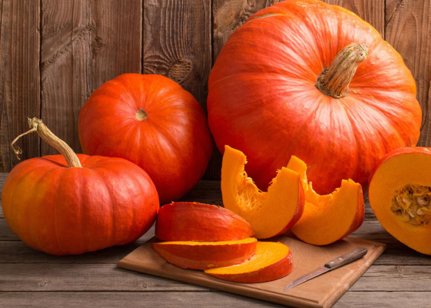 Packaged goods aren’t the only thing that could trick you into eating more than you should. It is difficult to keep up with portion sizes when food is being served to you. Restaurants often serve large portions that are enough for two people, or more. The same goes for self-serve buffets and dinner parties, where keeping track of serving sizes requires extra care. How do you find out …What food and how much? You know to fill your plate with fresh produce, whole grains, and lean protein. But again, how much? 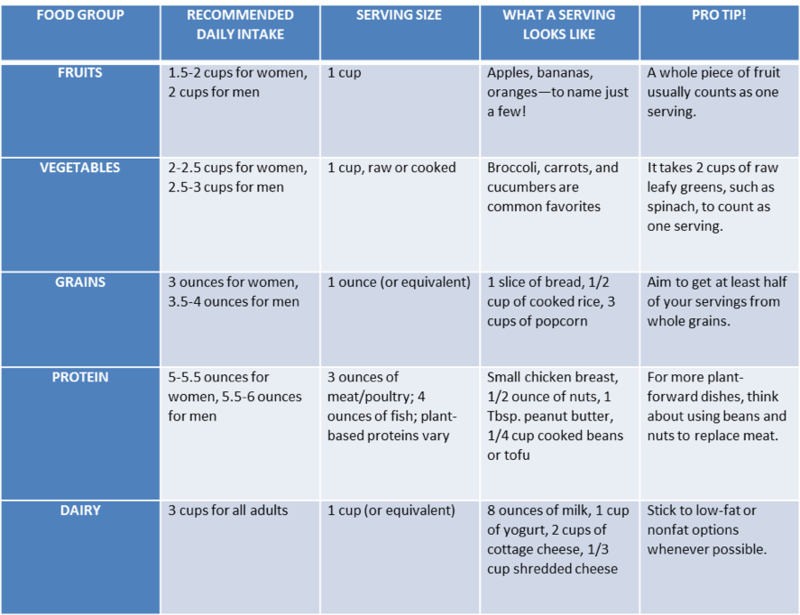 While everyone’s health history and nutritional needs are different, Kelley points to the national guidance from USDA’s MyPlate (table below). The plate itself can be just as important as what you put on it. Keep that in mind when selecting your plate for dinner, choosing one that’s about 10 inches in diameter is a great way to enjoy your food in more appropriate portions and set yourself up for long-term success. Understanding the concept of size when it comes to food can be difficult if not using a specific plate or while on the run. Refer to these common daily items when selecting your serving! The point here is not only to eat mindfully, but to discover if smaller portions will still satisfy you. Your body can only use so much in one sitting, so eating smaller portions more often is better for maintaining a good metabolism (i.e., how your body converts food into energy). Split a large salad or main dish with a friend. Put half of your meal in a to-go box and save it for later. Drink water before and with your meals (it helps fill you up). Put away the distractions and eat mindfully. Don’t eat directly from a large bag or box. Remember, it’s not always what you decide to eat, but how much. You do not want to restrict foods for a healthy diet, but some should be eaten less often and in smaller portions than others. It takes practice to land on the right portion size for you, but turn to the tips and tricks above and you’ll be off to a great start! For more healthy eating tips, contact the Thorek Memorial Hospital Food & Nutrition Department.